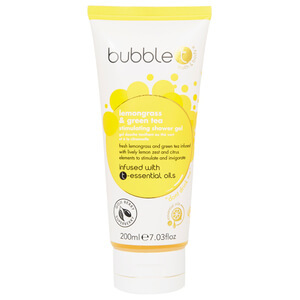 Rejuvenate dry skin with Bubble T's Moroccan Mint Tea Body Lotion; a lightweight, ultra-nourishing, fast-absorbing lotion formulated to deeply condition and soften skin, whilst imparting a refreshing fragrance of Lemon and zingy Spearmint. Packed with antioxidant-rich Goji Berry and moisturising Shea Butter, the non-greasy lotion leaves your body feeling revived, restored and protected. Paraben, SLS and SLES free. Not tested on animals.